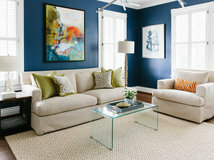 As gray and greige reign as the neutrals du jour, you may be wondering what other colors to pair with it. 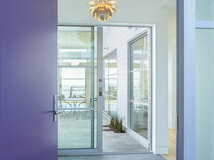 While a safe and elegant choice is to keep everything in a gray, silver, black and white color palette, pairing gray with an electric color can enliven a space and put a stamp of personal style on it. 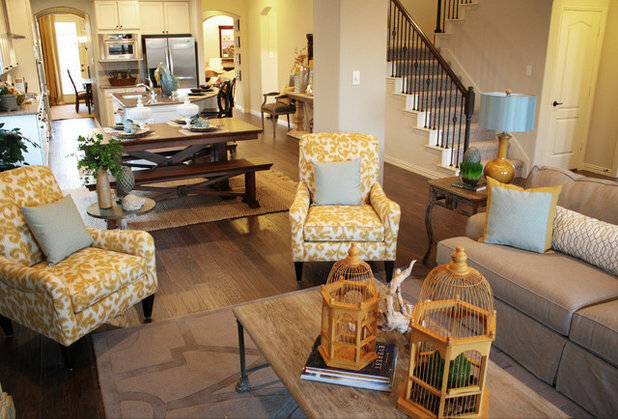 Today we'll take a look at how different shades of yellow pop when paired with gray throughout the house. 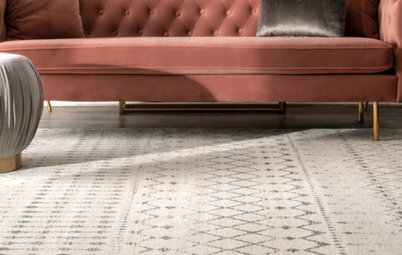 In the living room: This long sofa pops against the subdued gray walls, allowing it to host a combination of bright ikat pillows. 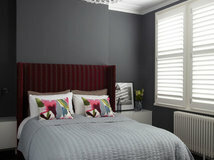 The result is a glam and sophisticated room. In the dining room: In the same way, these Panton S Chairs in grellow are standouts in this room due to their shape and hue. 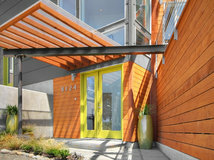 By the way, "grellow" is green-yellow, a word I believe I stole from a CB2 catalog. 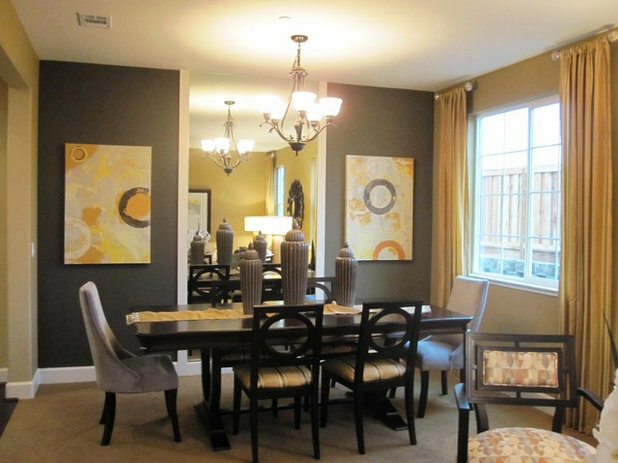 Light gold and yellow accents add a warm glow to this dining room, which has medium-dark gray walls. 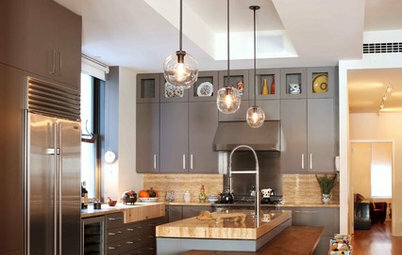 A gray and yellow combination works well with modern and contemporary style. 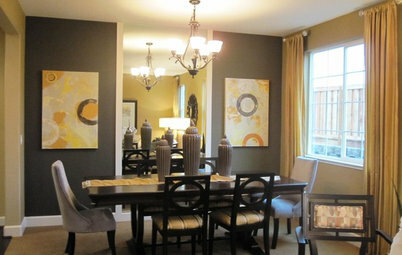 Here, black chairs, chrome, a minimalist white dining table and dark floors add to the sleekness of this dining room. 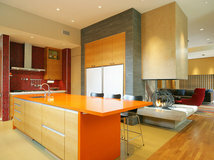 You can also keep things light and contemporary with this color combination, as in this space. 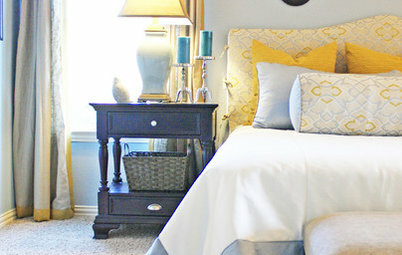 In the bedroom: Gray is a restful shade and may just aid your sleep, while pops of yellow make the space a bit more interesting. 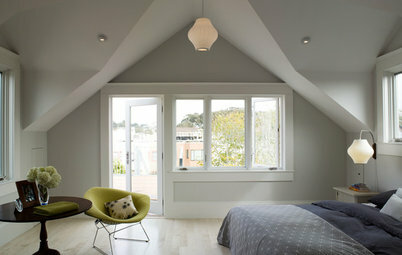 Here silvery gray plays off the deep gray walls as well. 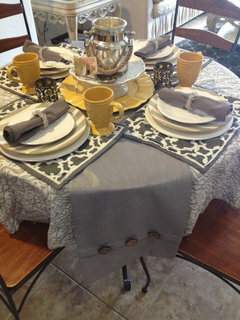 The prints in this gray and yellow scheme are tied together by their abstract floral patterns. 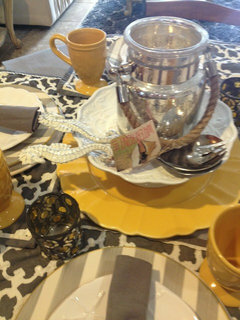 If your base color is gray and you don't want to make a big commitment to an accent color, bring yellow in through small accessories, like this tray. 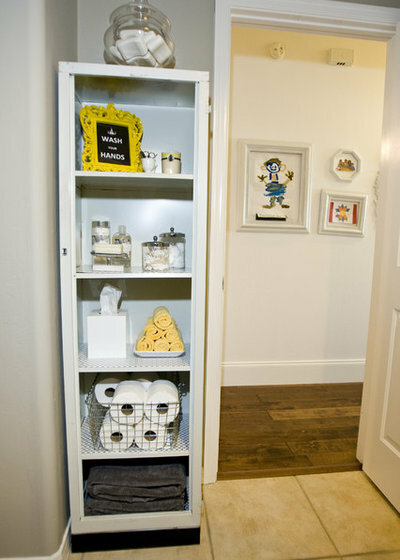 Side note: A trayscape is a good way to corral items on a surface and keep things looking streamlined. 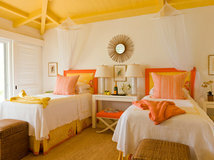 The color combination also works in a lighter bedroom. 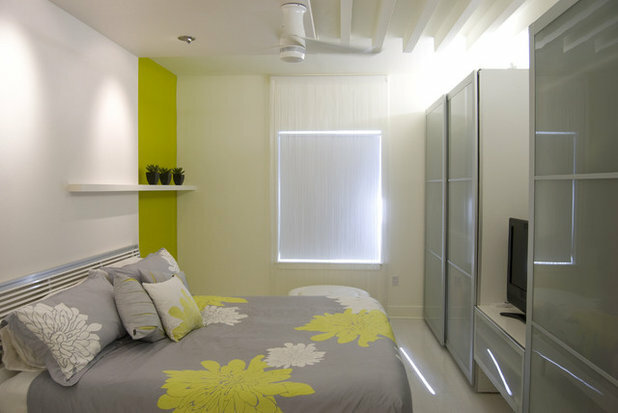 Here, a bold lime-colored wall plays off the yellow floral accents on the duvet. 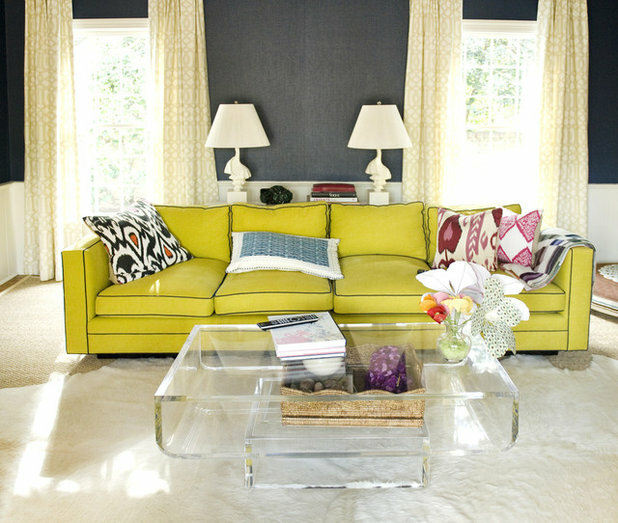 In the living room: Here the yellow throw pillows are just like that small vase of fresh blossoms, adding just the right touch of yellow to this soft and sophisticated room. 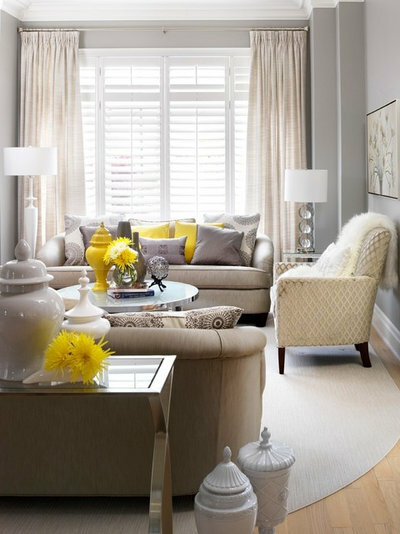 Trim on the window treatments extends a touch of yellow from floor to ceiling in vertical lines, accentuating the beautiful windows and picking up on the throw pillows. 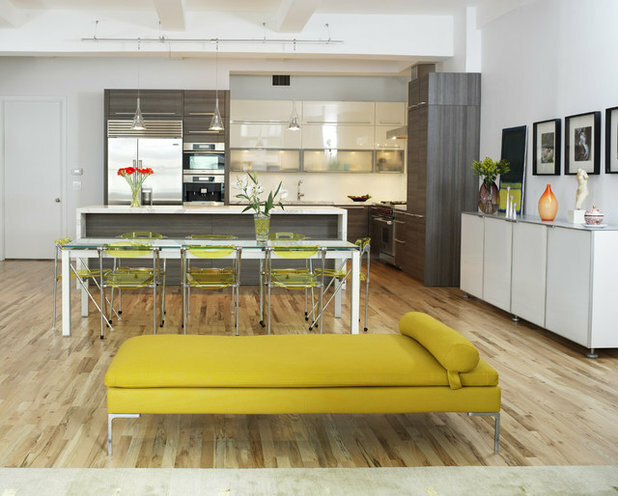 Natural elements, a range of warm woods, and a golden yellow ikat fabric on the chairs help give this living room a comfortable and inviting vibe. 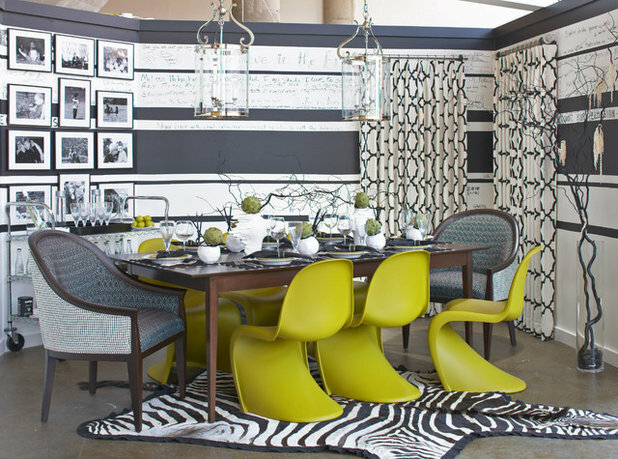 Pops of yellow draw the eye and add balance to the dramatic prints in this room. In the nursery: If you're planning on letting the answer to "boy or girl?" 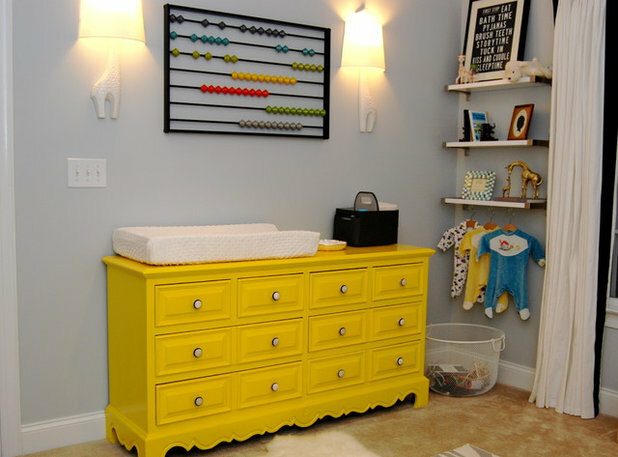 be a surprise but you want to get your nursery together ahead of time, gray and yellow is a great gender-neutral and modern choice. (Don't worry, it still goes well with little duckies). 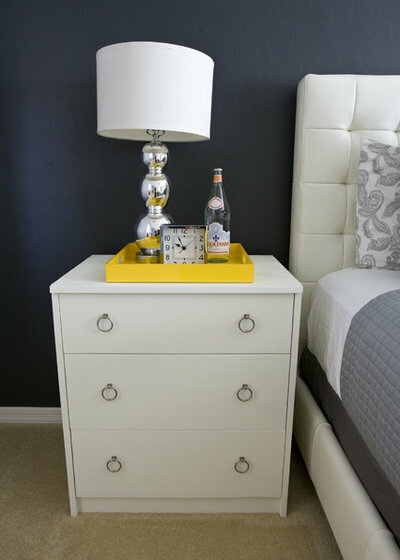 This vintage chest of drawers takes on a new life when given a vibrant paint job, and it stands out even more when placed against a soft, light gray wall. 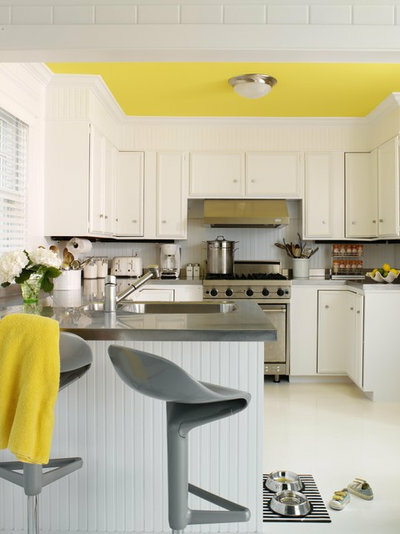 In the kitchen: This designer painted the ceiling yellow to brighten up a kitchen that didn't have much natural light. 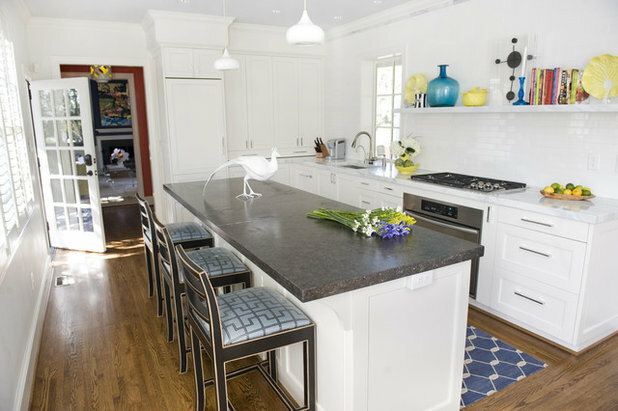 Gray counter stools and countertops ground all of the white from the cabinets and floor. 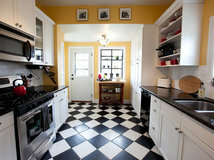 This kitchen brings some lemon yellow in via ceramics, flowers and yes, lemons. A plate of lemons are a simple colorful addition to your countertop or tabletop that will instantly freshen up your space. 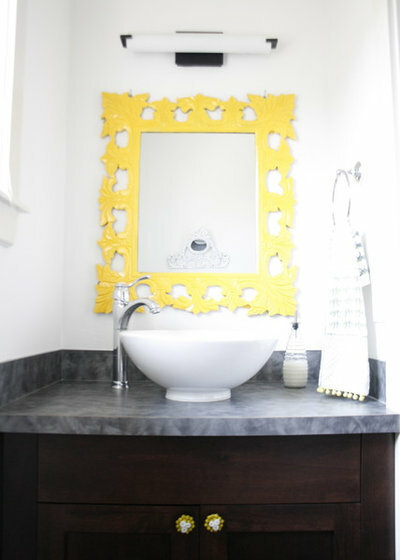 In the powder room: This sunny mirror is the only burst of color this neutral bathroom needs. The whimsical knobs are the icing in the cake. 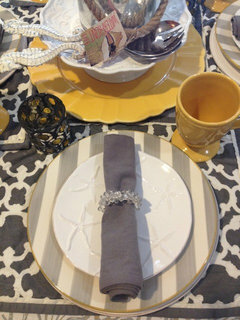 Here's another way to bring in the color combination with small accessories. 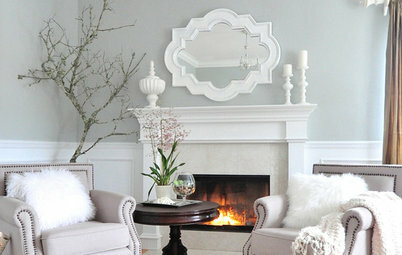 Have you taken part in the greige craze? 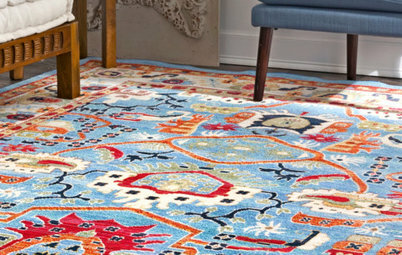 If so, please let us know what other colors you mix with it in the comments section. RoomMates RMK9026WP Adhesive Film Adhesive, 20.5"x198"
Marrakesh Self-Adhesive Removable Wallpaper,, Bronze Gray, 56.37 Sq. Ft. 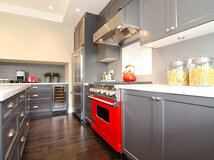 In a house full of neutrals, black granite counters, brown cabinets in kitchen...this color combo was the perfect choice!